STUNNING!! So beautiful…I’m sure it will be treasured! What a beautiful quilt! How long did it take you to make that? It is simply gorgeous. I bet she will treasure it for years to come. Thank you Carmen! I’d say it took me about three weeks to put it all together. The cutting of the squares took a while before that though. The birthday party was brought forward a week so I had to hurry at the end! 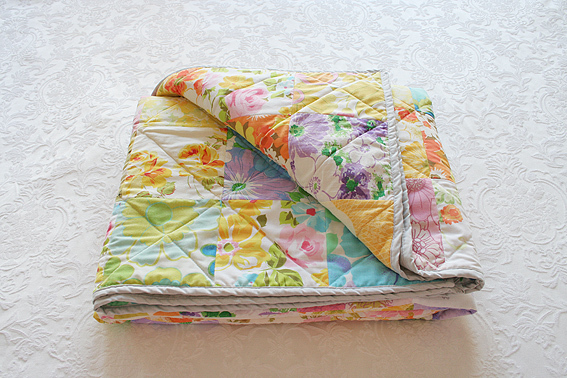 Did you quilt that on a regular sewing machine? It is gorgeous. 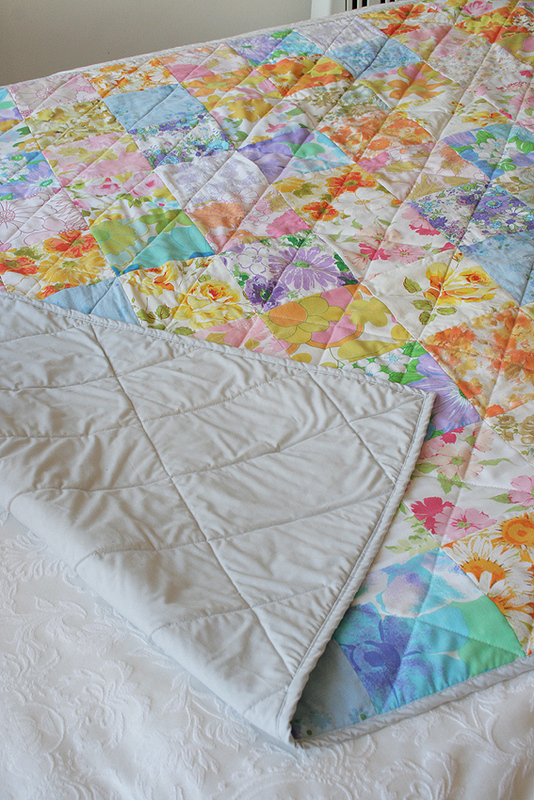 And where did you find all the beautiful vintage sheets??? Love it. 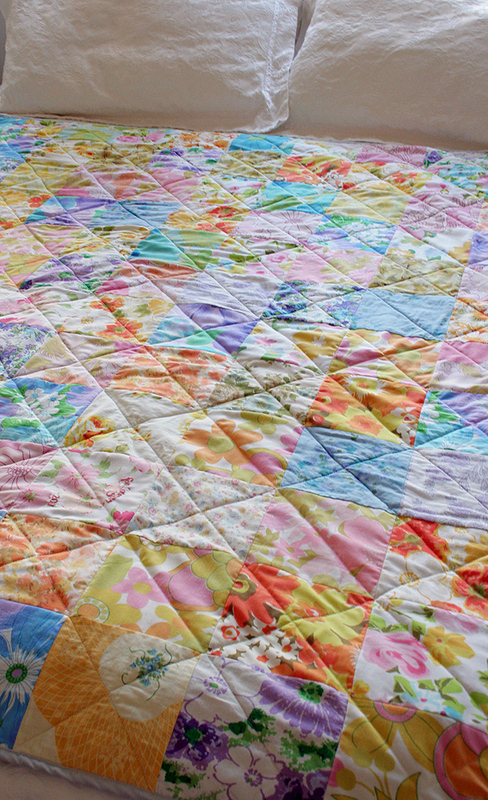 Did you quilt that on a regular sewing machine? It is gorgeous. 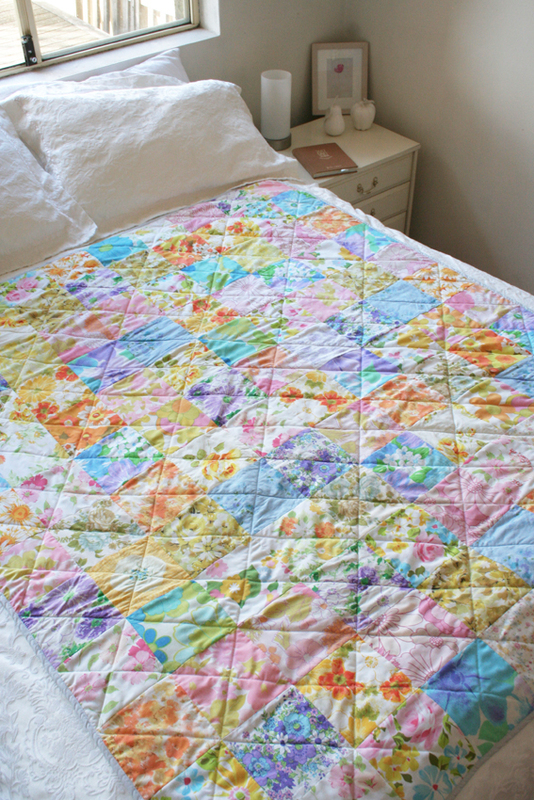 And where did you find all the beautiful vintage sheets? Yes, a regular Singer sewing machine I’ve had for over 15 years. I don’t think I’d attempt to quilt a bigger quilt with it, but I managed with this one. 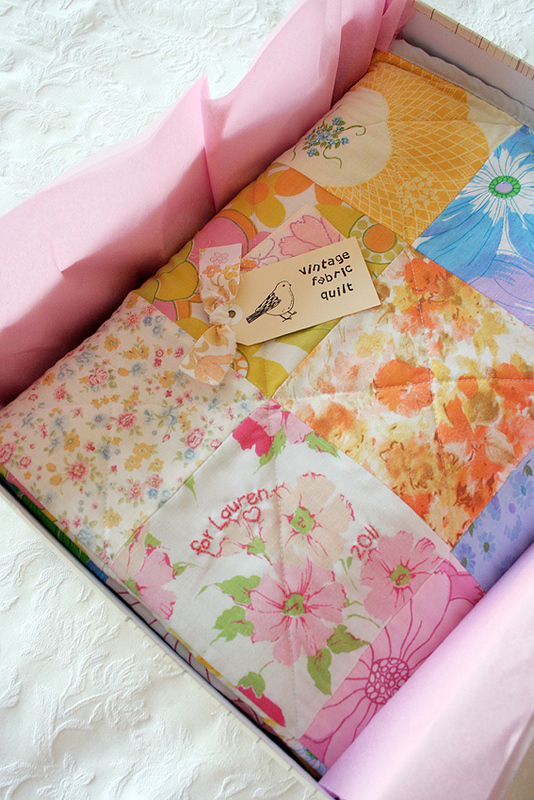 I found some sheets in thrift stores like Vinnies or the Salvos, but most I purchased in fat quarters from Etsy. Vintage sheet fat quarters on Etsy sell for between $1 and $3 each.